Cuppage Plaza is known for the small Japanese restaurants that cater to the discerning palates of the Japanese community in Singapore. As seedy as it may be, with Thai and Vietnamese call girls loitering on the corridors, once you step into the individual restaurants, you'd think that you're in Japan. That's exactly my thoughts after stepping into the super discreet (no sign board) and high security (you need to buzz the intercom before you're allowed in) Kappo Shunsui. 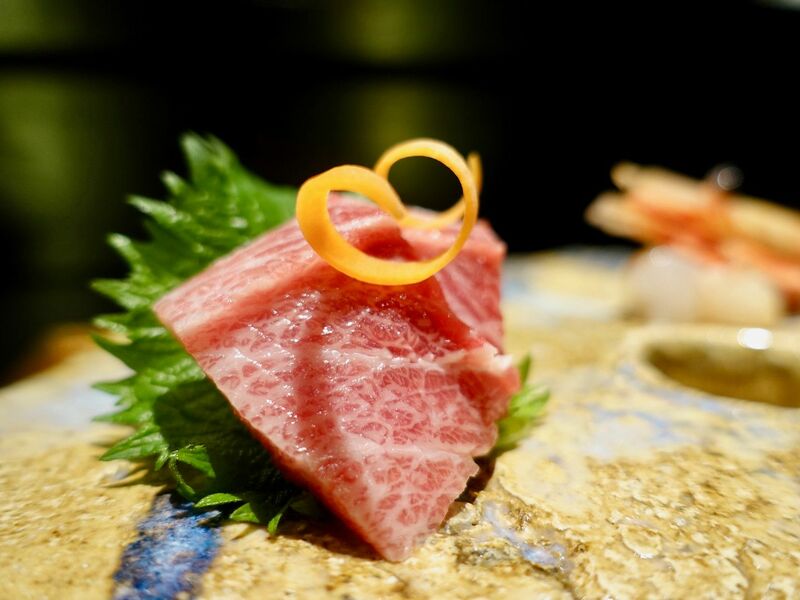 Those familiar to the Tokyo food scene may have heard of Shunsui, which was named in Michelin Guide’s Bib Gourmand list for three consecutive years between 2015 and 2017. And now, the man behind the same restaurant, Chef Tomo Watanabe, has set up shop here in Singapore. Kappo Shunsui serves a Kappo-style cuisine which is all about creating balance throughout the course of a meal by the use of five primary cooking techniques: grilling, steaming, frying, simmering and raw preparation. From behind the counter, Chef Watanabe prepares and cooks for the lucky 19 who get a taste of the ever changing seasonal menu made with produce delivered from Tsukiji Market thrice weekly and other imported Japanese ingredients. 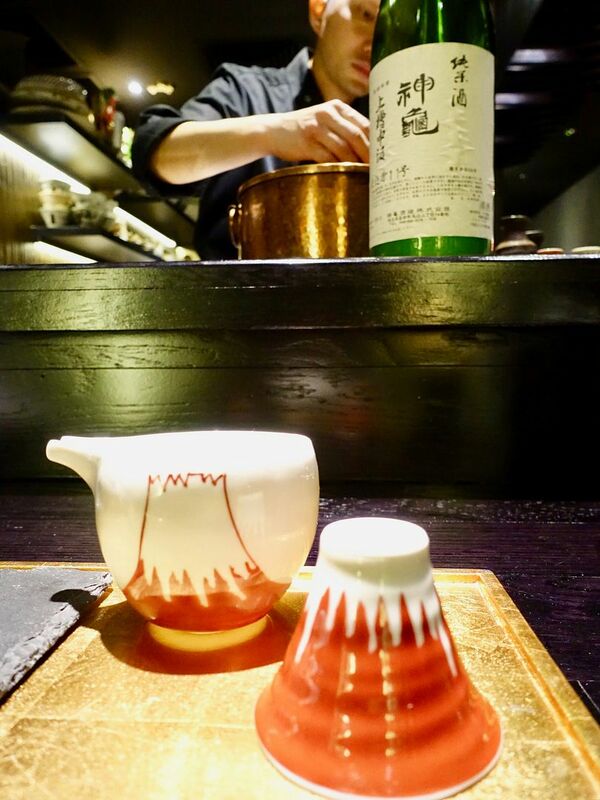 A qualified kikisake-shi (sake sommelier), Chef Watanabe has also curated an impressive list of close to 100 labels of sake, including bottles not listed on the menu, from his private collection. These are available by the glass and bottle (From $12/63 respectively). Sake pairing for the omakase is also available ($55/85 for 6 glasses of 60ml). I quite enjoyed this very special malty sake with some shoyu scent to it. 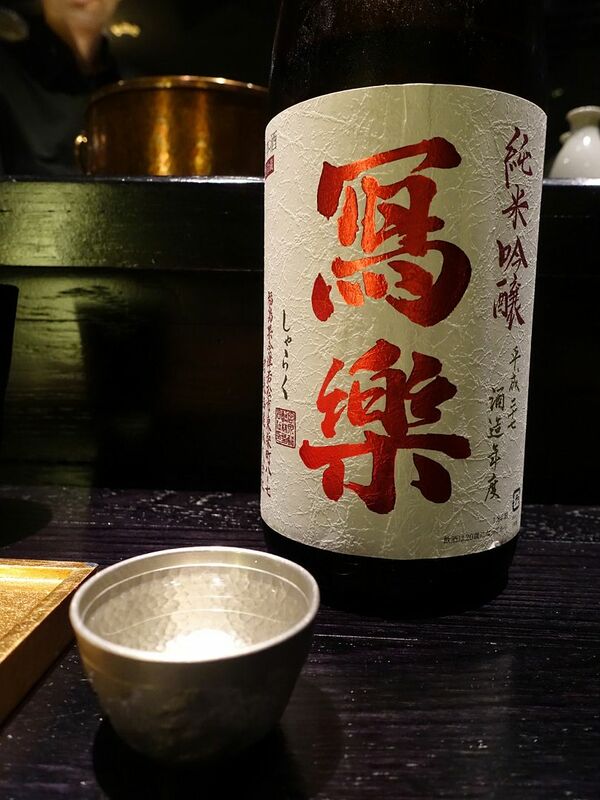 Aside from sake, other wines and spirits like whisky, shochu and champagne are also available. Omakase is served for dinner, and a la carte options are only available from 9pm onwards. 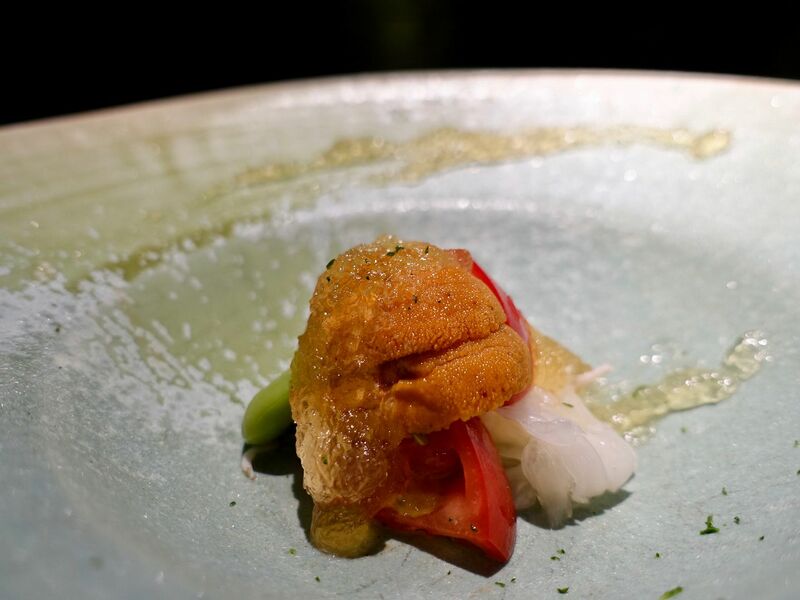 For this season, we had the Zuwai Crab and Uni with Tosazu Jelly to start. 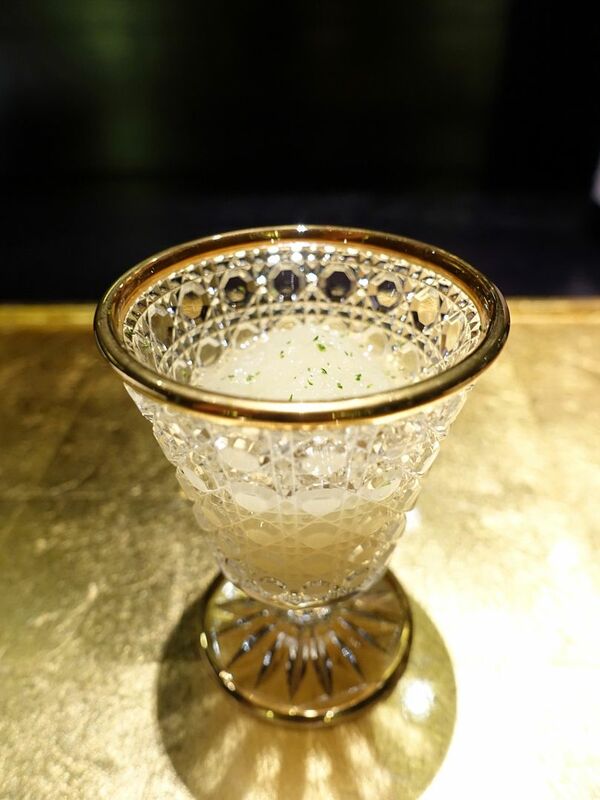 The light sweetness of the produce, including the lovely Shizuoka Amela tomato, is complemented by the equally refreshing dashi jelly made with Chef's own dashi stock. 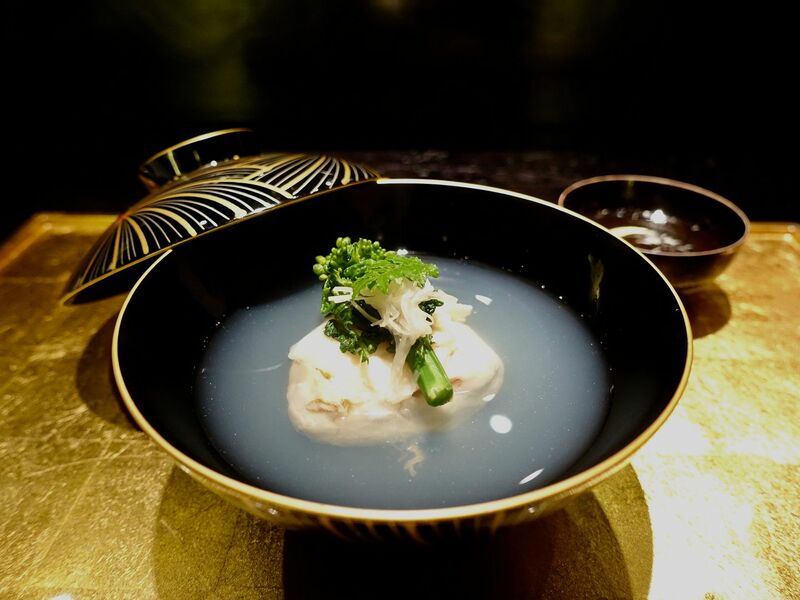 The Hamaguri Shinjo warm soup features a clean and elegant dashi with a cloud like fish cake and Chiba clams. 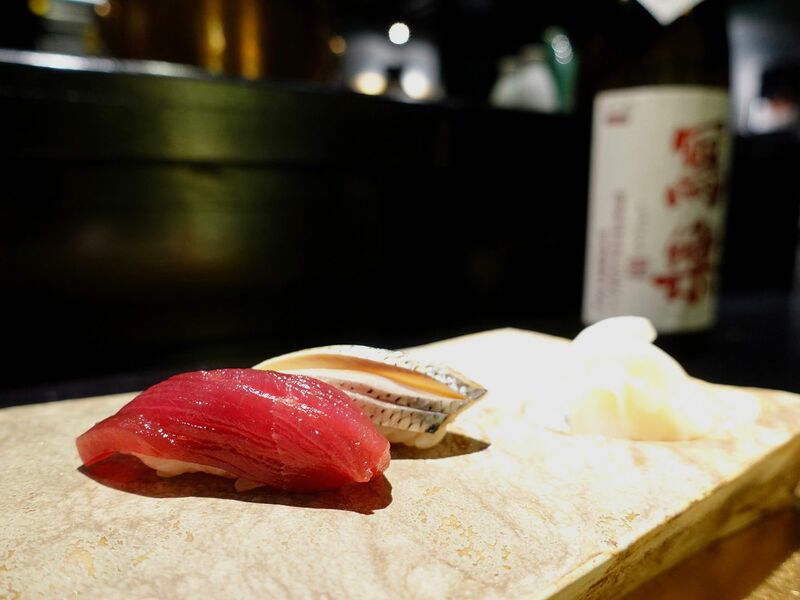 The briny savoriness and sweetness of the shell fish, as well as the smoky bonito and dried tuna, conjured the flavors of the sea in our mouths. Lovely. We quickly moved on to the sashimi course of Toro, Botan Ebi, Aori Ika. Just look at that clear red in tuna belly! I was blown away by the glorious Maguro Zuke, which has been soy marinated before being served. Pops of umami, with perfectly cooked and flavored rice. Just bring me all the sushi already! I noted the edo-mae style of preserving fish at Kappo Shunsui. Here's chef with his kelp grouper from Nagasaki, which has been cured in house for about 2 weeks. 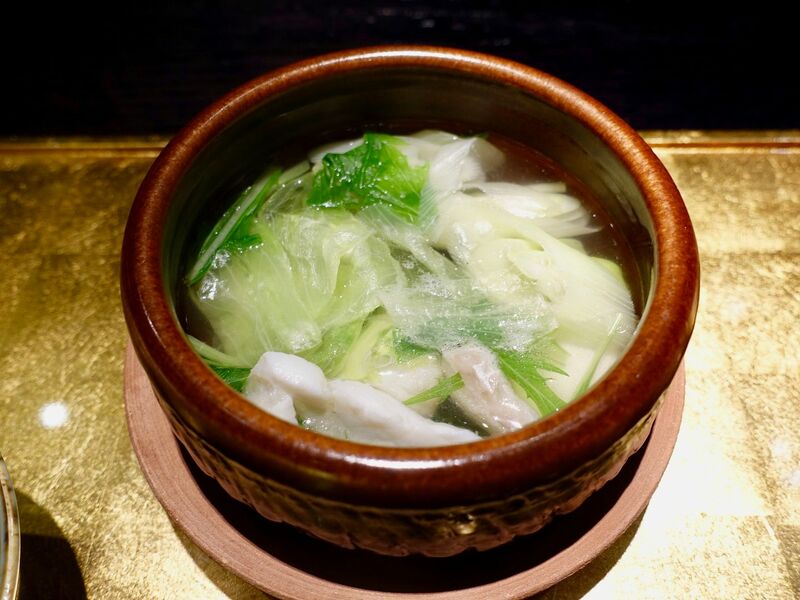 The firm fish went into the Kue Nabe, a simple but delicious pot of fish with lettuce, leek, and spring onion. Pick up the ingredients and give them a wash in the ponzu and grated radish mix before taking a bite. We sure could eat this all night. A clean sake to go with the nabe! 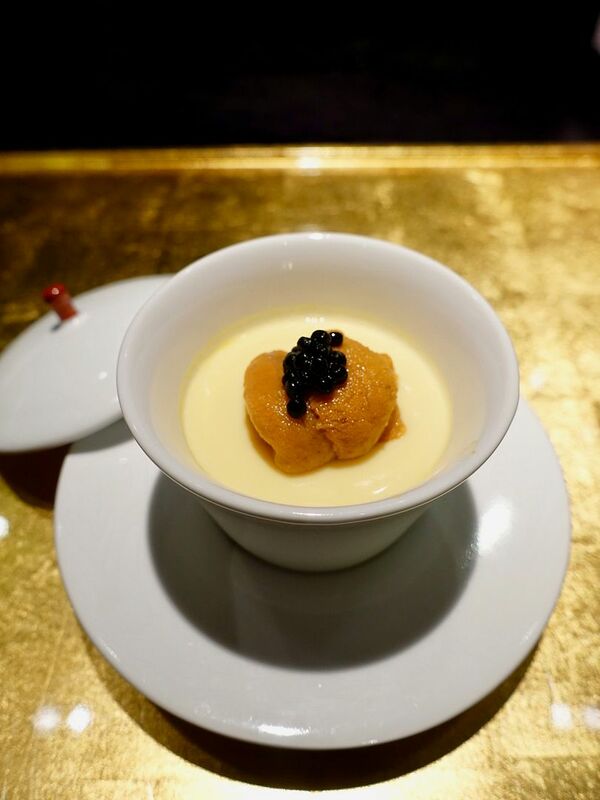 How about an Oita Chawanmushi with Hokkaido uni and Italian truffle caviar? I was a little let down by the ammonia taste of the uni, as i was expecting pure sweetness. Hmm..
A grated pear puree with some young yuzu skin to cleanse our palate for the mains. The A4 Omi Gyu Sirloin Roast Beef from Shiga is another highlight of the meal! 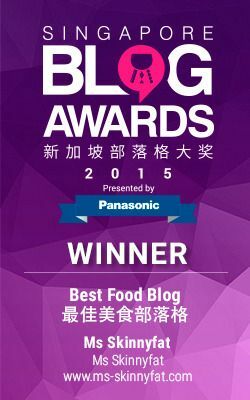 The beef is marinated in dashi, roasted, and then slow cooked for that lovely tenderness. This is paired with some grilled turnip and a sweet spring fresh onion puree. How about just serving me a slab of this? 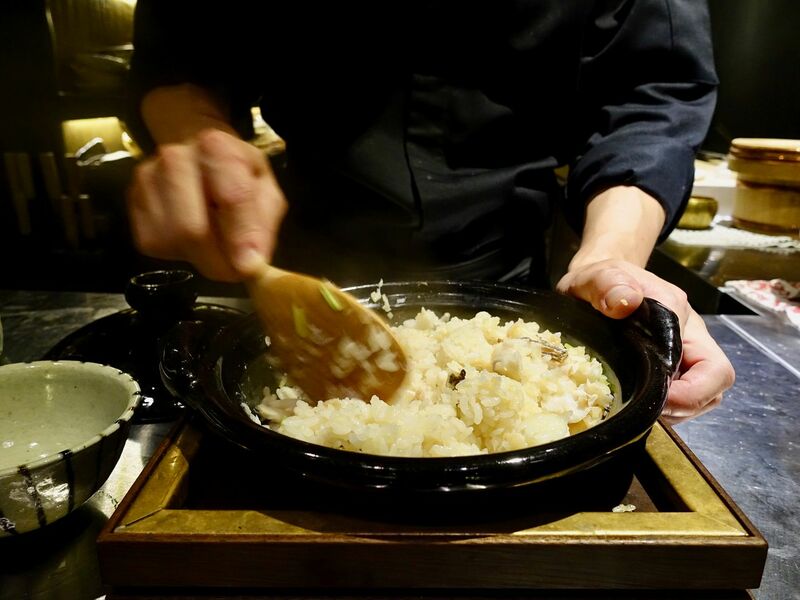 The final course is always rice and Chef serves his signature claypot rice (which remains constant on his seasonal menu). On his current Spring menu is Red Snapper Claypot Rice served with Red Miso and Shijimi Clam Soup. 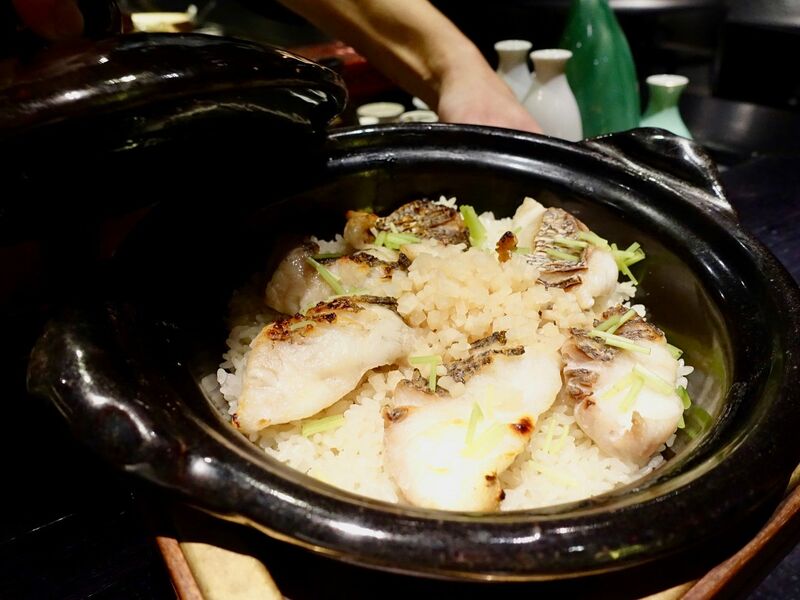 To make this dish, the rice is first cooked in a clay pot with dashi before Chef Watanabe grills the red snapper over binchotan (white charcoal) until it is 80 percent cooked. The fish is then laid on top of the cooked rice to finish cooking in its gentle residual heat. 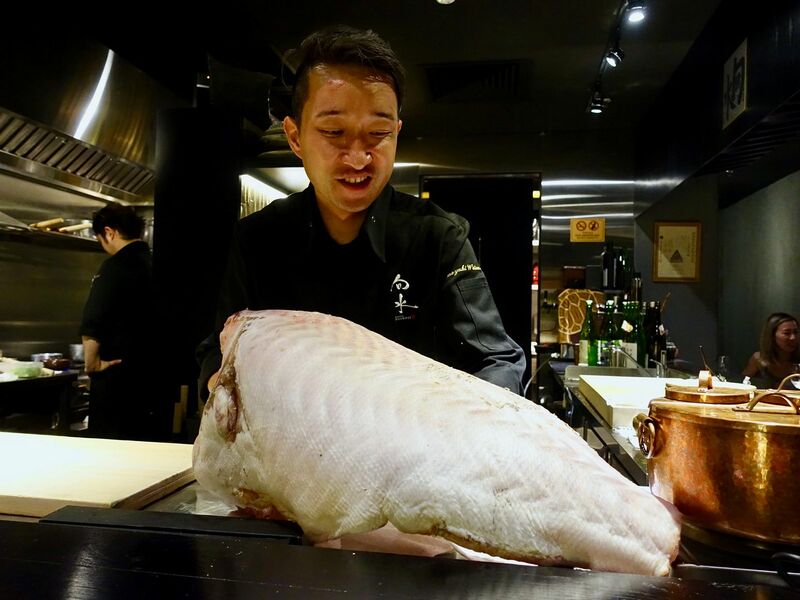 Chef Watanabe uses a special blend of koshihikari and sasanishiki rice, which provides a lovely, mild stickiness and just the right firmness in the grains. The dashi gives the rice a lovely smoky bonito flavor and i especially love the light spice from the pickled ginger. 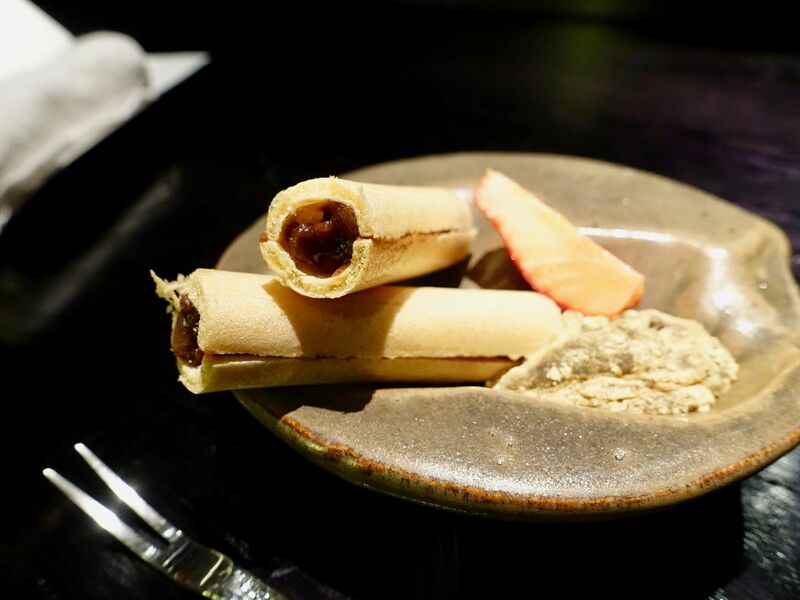 Sweet (and salty) endings with Azuki Monaka and Warabi Mochi! I love the hint of salt in the red bean paste and how impossibly fluid the mochi was. The mochi is made from the Kyoto Hon Warabi Powder without any other additives. 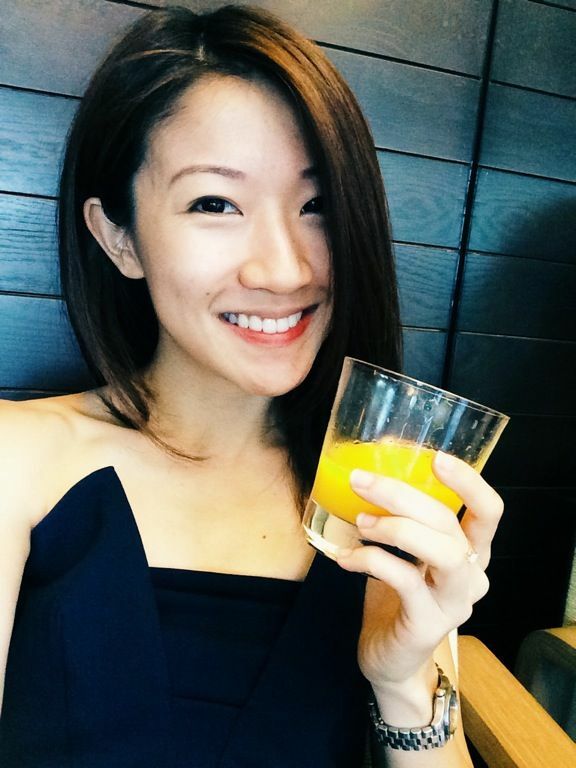 I've never had such a good one in Singapore honestly. For a limited time till 15 Jun 2017, Chef Watanabe is serving his 10-course Omakase menu at $199 (U.P. $299). 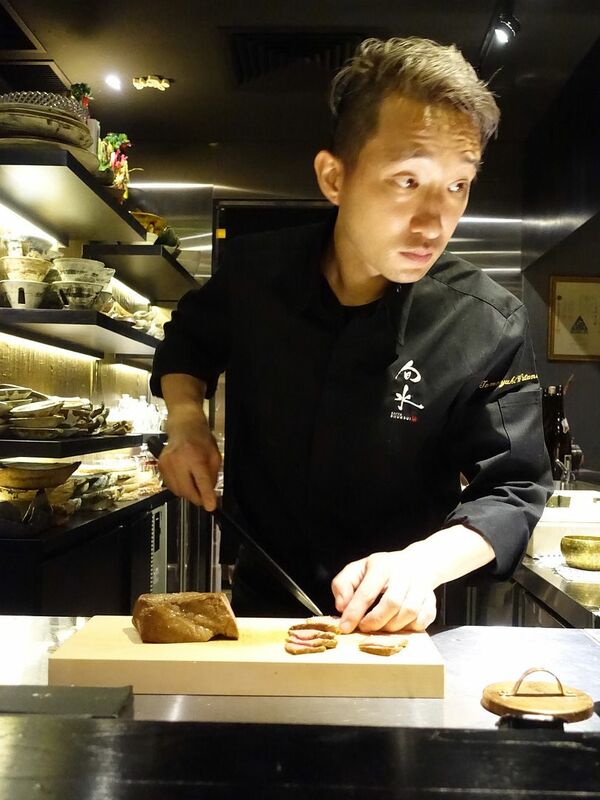 Additionally, Chef Tomo Watanabe will be curating a new 8-course menu $199 from 16 Jun onwards.